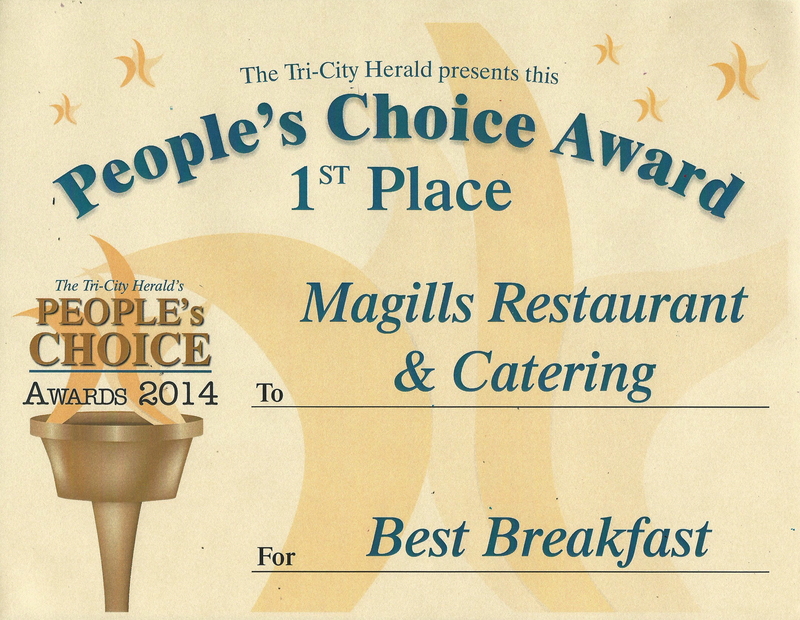 Magills has been a People’s Choice winner for Best Breakfast in the Tri-Cities and/or for Favorite Family Restaurant in the Tri-Cities for the past seven years!!! We are a locally-owned family eatery and catering company specializing in hand-crafted foods made with fresh, quality ingredients. We have something for every taste, huge Chicken Fried Steaks for those who love a good stick-to-your-ribs meal, light entrees for those watching their waist-lines, and seasonal locally grown produce. Locally-grown and crafted ingredients are used as much as possible. 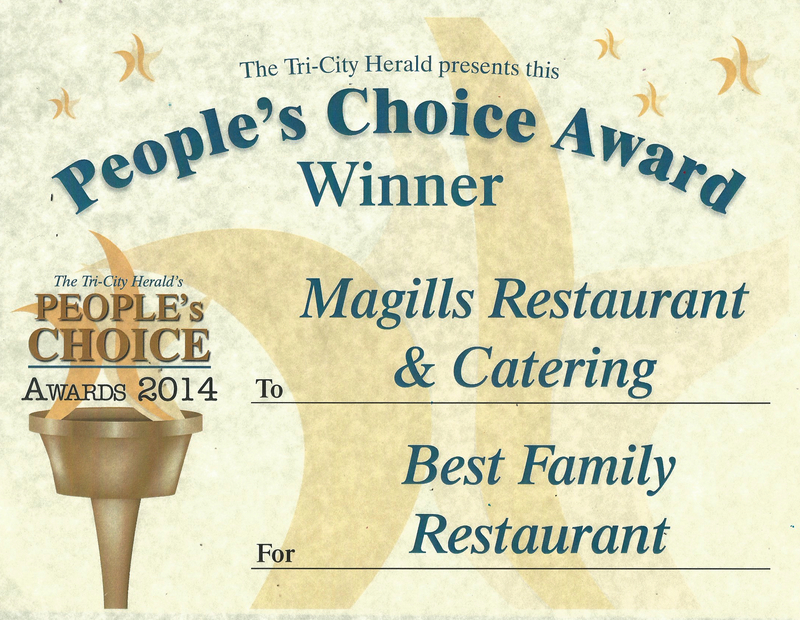 We’ve become famous for our Mac & Cheese made with WSU Creamery’s award winning cheeses. We also offer premium, locally crafted/sourced beers, wines and spirits. Magills has what you’re craving. Oh, and did we mention, the best breakfast in town is served all day? !